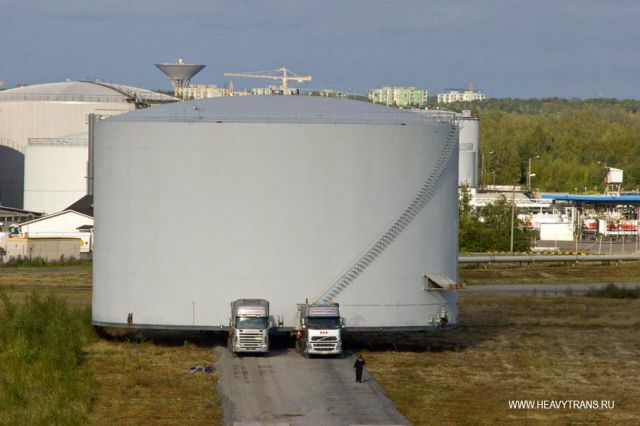 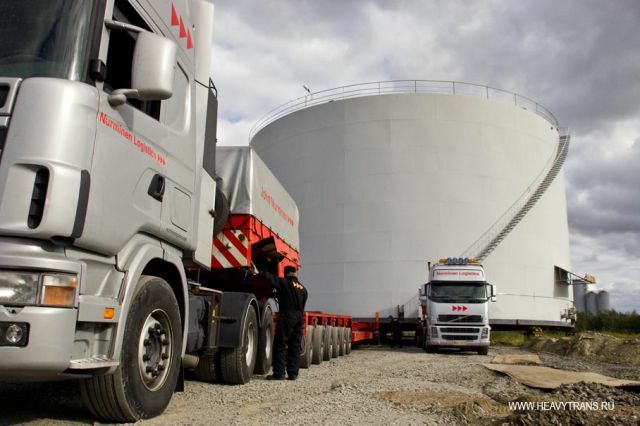 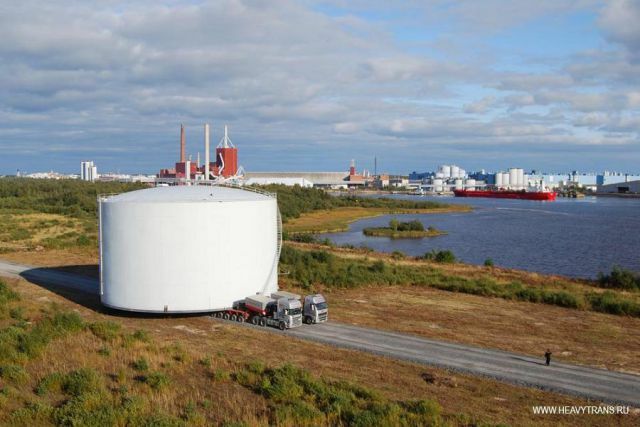 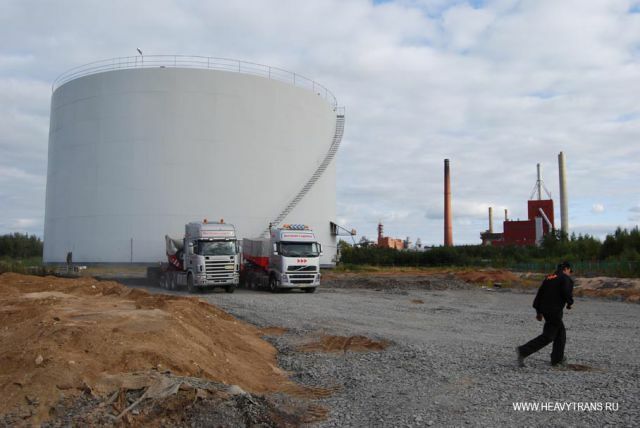 How can you transport huge petroleum products storage tanks, if each tank is 26.5 meters in diameter, 14 meters in height and weighs 180,000 kilograms? 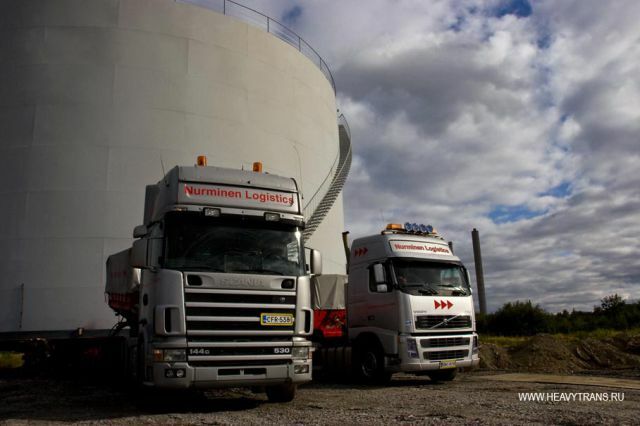 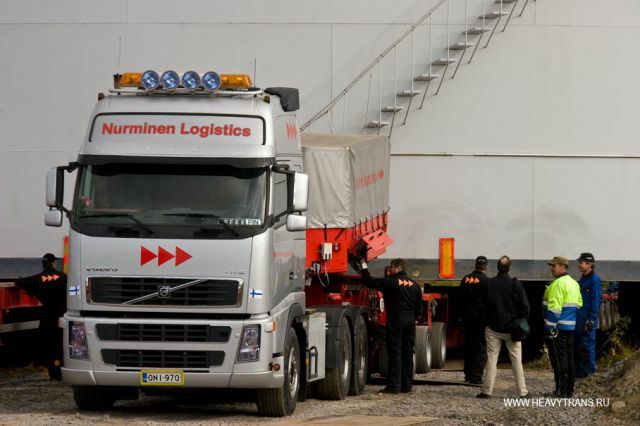 This task is possible, and you can take a look at how Nurminen Logistics Company has managed to transport oversized cargo to a distance of about one kilometer, which took it two months of preparations and one hour to perform the assignment. 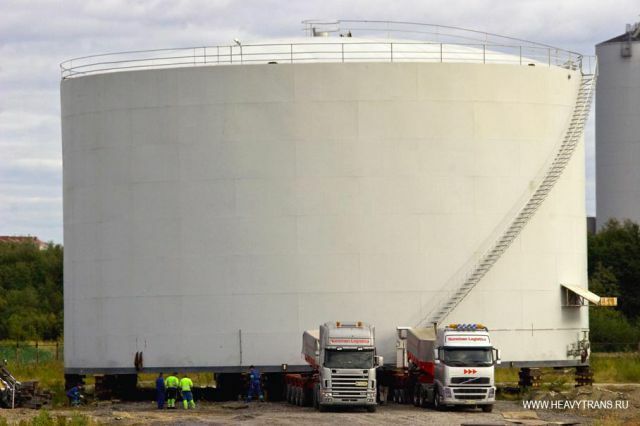 they missed the part where they picked it up. 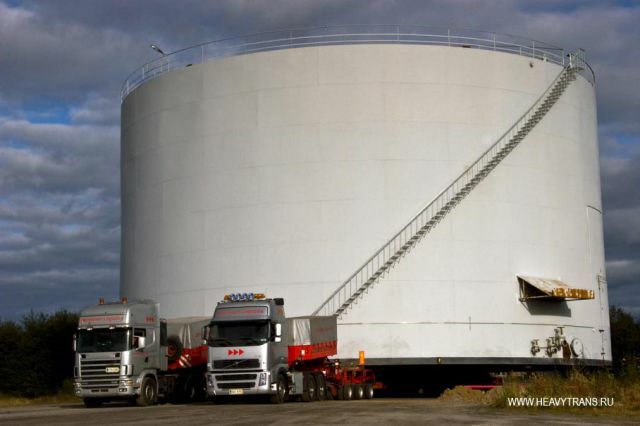 dammit camera man, youre fired!